The PowerVR Series6 mobile graphics processing architecture, produced by Imagination Technologies and expected to be used in the next generation Apple iPhone and iPad, has been licensed to 6 partners including Texas Instruments, ST-Ericsson and MediaTek. The other 3 companies remain unnamed although one of them might be Apple. 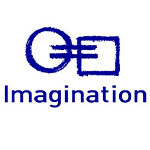 The Cupertino based tech giant purchased a 3% stake in Imagination Technologies in 2008 and the following year, increased that to a 9.5% share in the company. This past week, Imagination said that the PowerVR Series6 GPU, code named "Rogue", offers best in class performance with "GFLOPS per mm2 and per mW for all APIs." The company said it has "one of the largest teams of graphics engineers in the world," and bragged that its chips have been used to power up a large number of applications created by third party developers. Imagination CEO Hossein Yassaie said that both the overall and embedded market is turning to PowerVR as the industry standard for graphics. Inside the Apple iPad 2, you will find PowerVR's dual-core SGX543MP2 graphics processor inside Apple's custom A5 processor. Imagination claims that its processor boosts graphic performance of the A5 by up to 9 times. Using benchmark tests, the SGX543MP2 has been shown to be faster than the competition powering the Motorola XOOM and even the original Apple iPad. The A5-PowerVR's dual-core SGX543MP2 combo is expected to be used in the Apple iPhone 5. The "Rogue" GPU processor won't be available until the A6 starts to get churned out. The good news is that the PowerVR Series6 GPUs will be fully compatible with the PowerVR Seires5 and Series5XT GPU processors which should make switching to the latest technology a smooth, seamless update for developers. Looks like the only competition that apple will have will be the Tegra 3, unless TI rolls out their 1.8 ghz Omap 4470 with a mp2 core (one can only wish). I would also love to see TI's Omap 5 with a PowerVR's Rogue. gtx 590 x10000000000000000000000000000000000000000000 more better.